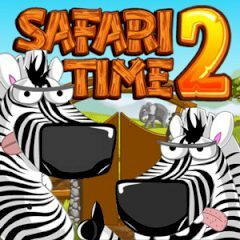 We are looking for the bravest guy, who is able to help zebra and pass all the stages in the way to Safari! Are you there? So, you must be really careful and solve all the puzzles right now. We know that you can cope with it. Enjoy the game. Have you ever seen that? No! This amazing brave zebra really wants to help the animal in the black and white striped coat to have a great time on safari in the African wilderness. That is why your main goal is to click on objects in the right order to remove annoying obstacles in the way so that the funny zebra can drive his jeep unhindered throughout. Well, are you ready for that? Then do not waste your precious time and help this amazing zebra to reach his goal. Just enjoy the game and vanquish it as soon as possible.